A major trend we've been seeing in inventory management (and business, in general) is for companies to move from a desktop solution to a cloud solution. This has profound implications for the nature of how businesses manage their inventory, and we thought it would be interesting to get the low down on this trend from an industry expert. Christy Hair is an inventory solution specialist with Boxstorm, an online inventory management specialist. We asked her a series of questions about cloud inventory management and how moving a company's inventory to the cloud can help it streamline its processes in new ways. BN: Why are businesses so keen to move their inventory to the cloud? CH: You can access it from anywhere. We are getting to the point where so many businesses are mobile or have multiple moving pieces or locations. 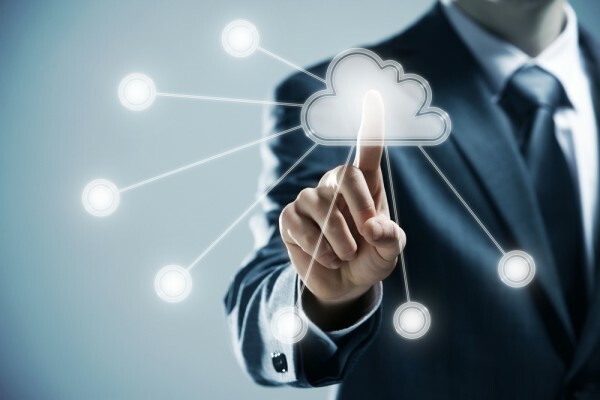 Being in the cloud allows them to connect all of these pieces together without having the expense of implementing and maintain internal networks or robust servers to run local desktop solutions. In fact, they don't even have to purchase expensive equipment for all of their employees to access the inventory solution on. Sure, some software works best on certain devices, but for most employees, they can just download an app onto the mobile device they already own. BN: What are companies looking for in a cloud solution? CH: Ease of use is one of the biggest requests. Many companies want a cloud solution that will help speed up their day-to-day flow. If a software solution isn't easy to use, that works against its value for a business. I'm also finding that companies really love having the option of using a Web browser or having an application for iOS or Android. This gives them the ability to use computers, tablets, phones, or laptops. More devices equal more flexibility and efficiency. BN: What sort of concerns and challenges do businesses have as they adopt a cloud solution? CH: This is a hard question! I feel like each company I work with has its own unique challenges. Some companies are concerned that if they aren't storing their information locally that somehow it's going to be compromised or unsafe. A great tech cloud solution has already resolved those issues. Data is stored at secure locations and it's often encrypted. And in the case of a server going down, backup servers are in place so it's rare that any data gets lost or corrupted. Sometimes there are even multiple levels of backup servers in place, just so there is never an outage. BN: How do cloud solutions compare to desktop ones? CH: There will always be a place for desktop solutions. What we have to remember is that the more intense the workflow is, the more in-depth the 'calls' are written in the software. For heavy manufacturing, Fishbowl Manufacturing is a widely known desktop solution. It handles multiple levels of bills of materials that will also have their own raw goods for many levels. We are talking 2,000 items making up one of those levels, and then combining it with another 1,000 items on another level, and it keeps going. Because of the amount and depth of data that Fishbowl is handling, it's necessary to have a local server with lots of bandwidth to run all of those calls. I think due to the intensity of certain desktop solutions, you will see robust desktop solutions stick around for a very long time. Technology is going to need to evolve a lot further to put such a robust program into the cloud without slowing down the software. There’s just no way to process that amount of data fast enough at this point. On the flip side of that, you will see that most software will move into the cloud in the coming years. It's just more convenient to be able to access it from anywhere. BN: What benefits can a business expect from moving its inventory to the cloud? CH: Flexibility and convenience and accuracy are the biggest things you will see by moving your inventory to the cloud. If you're at one location and you need to see what’s available at another location, you don't have to physically go to that location, or call someone else who is there. You can see in real time what's happening there. That also means you can correct problems in real time. The biggest benefit of moving to the cloud is it’s going to create more accuracy in inventory because it’s more convenient. This reminds me of the music industry. Sales in the music industry spiked when the music became digitally available. It was more convenient and faster to get the music you loved, so piracy declined. The same is happening with software. The more versatile and easily accessible it is to use your inventory software, the more likely you are going tap into it.